Everyone is trying to do away with bezels on smartphones, but necessities like front-facing cameras get in the way. That's why so many phones are shipping with screen notches lately. 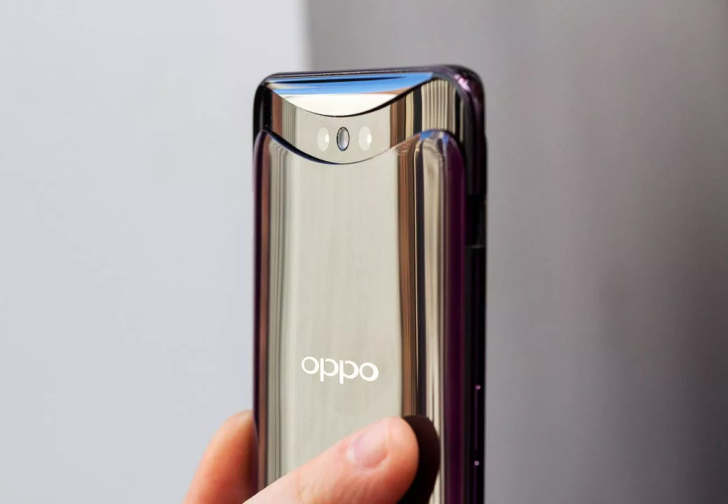 With the new Find X, Oppo is the second device maker to avoid the notch with a pop-up camera. Although, this phone actually puts all its cameras on the pop-up mechanism. It's a bit elaborate to avoid some bezel, but hey, no notch. The Find X has all the usual high-end smartphone bits from 2018. There's a Snapdragon 845, 8GB of RAM, a 6.4-inch 1080p OLED, and up to 256GB of storage. It runs Android 8.1 Oreo with Oppo's Color OS skin. The rear camera array consists of 16 and 20MP sensors. Around front, there's a single 25MP selfie camera. None of these cameras are exposed while the phone's tray is hidden. When you want to snap a pic, a motor raises the top center section of the phone up to reveal the cameras. Oppo says the camera tray can open in 0.5 seconds, and you'll have to open it a lot. This phone doesn't have a fingerprint sensor at all—the Vivo Nex with a pop-up camera has a fingerprint sensor under the screen. Instead, Oppo uses face unlock with the front-facing camera. So, the tray has to open each time you log in. This is still neat from an engineering standpoint, but you do have to wonder about long-term durability, though. The Find X will launch in China starting today, but the company hasn't announced pricing yet. This phone will come to North America and Europe, which is a big move for Oppo. It'll announce pricing and availability for more markets later.